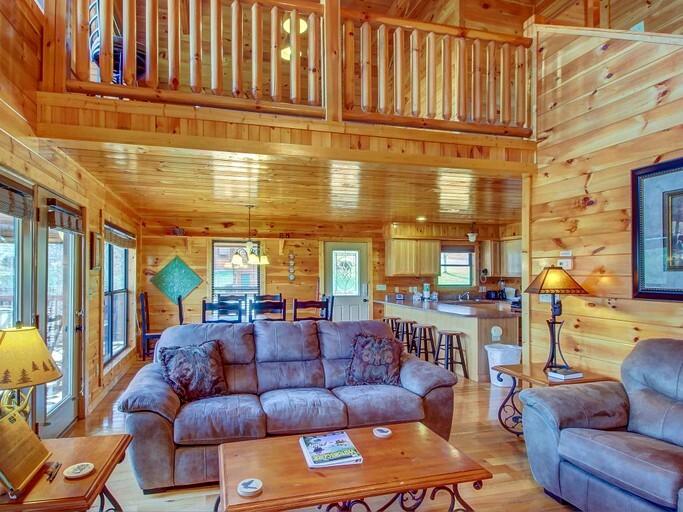 We reserved this cabin for our family and both sets of grandparents. 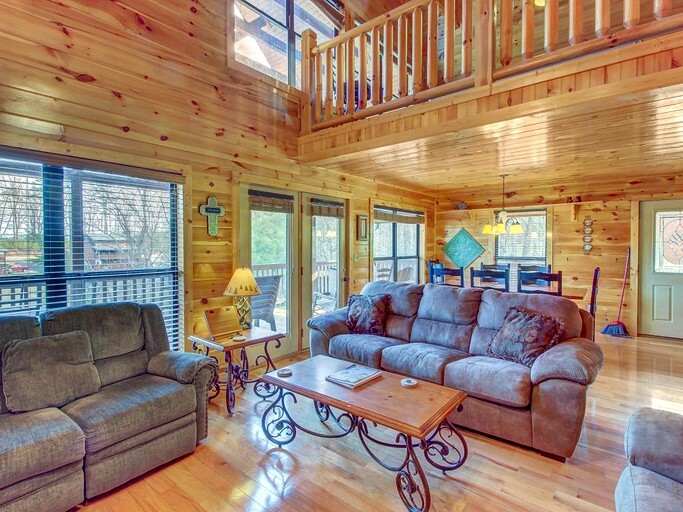 The cabin was very clean and had everything we needed for a relaxing weekend. 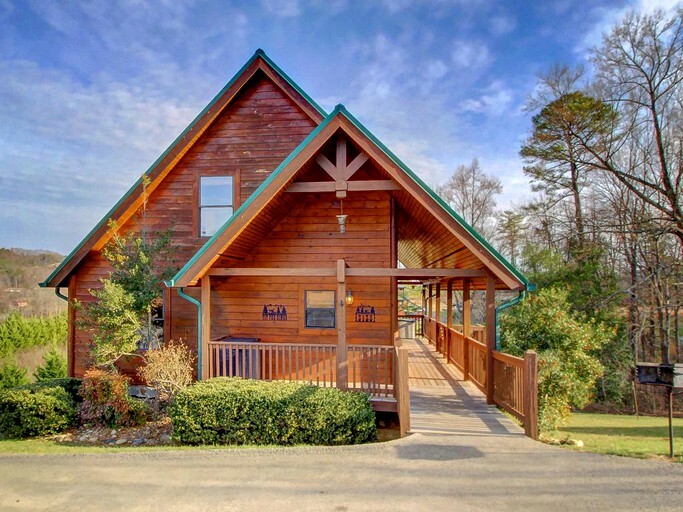 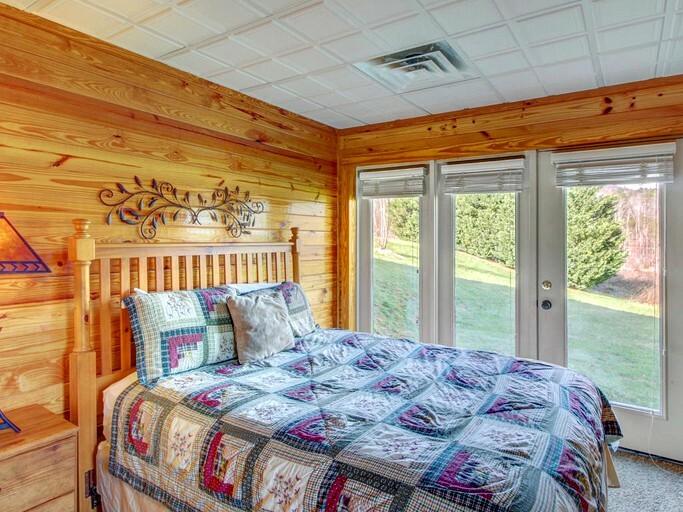 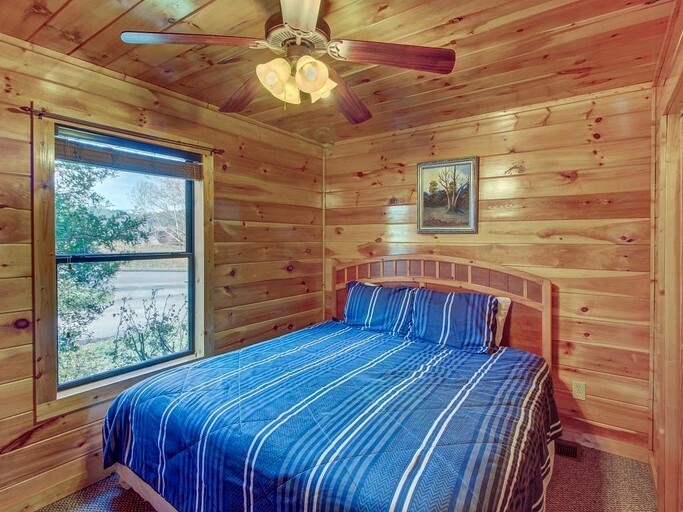 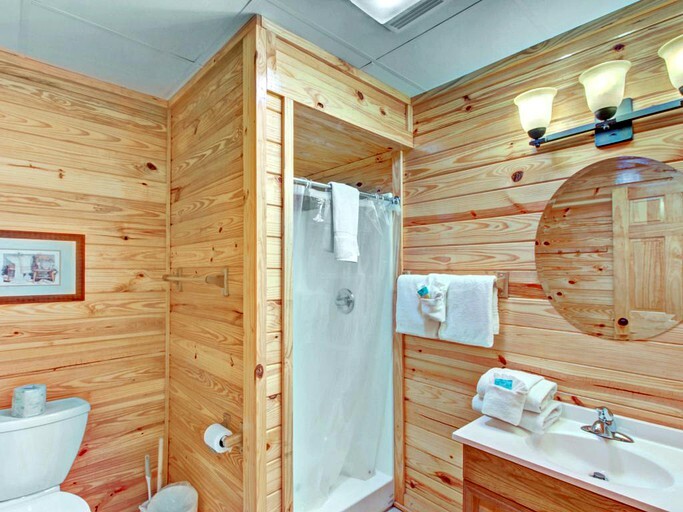 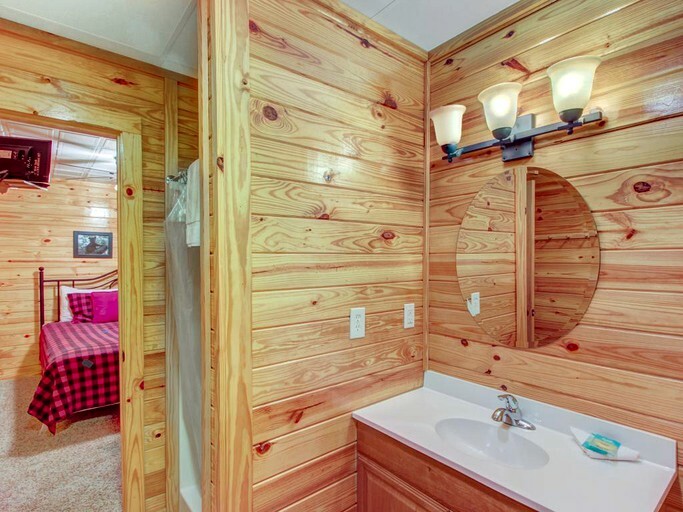 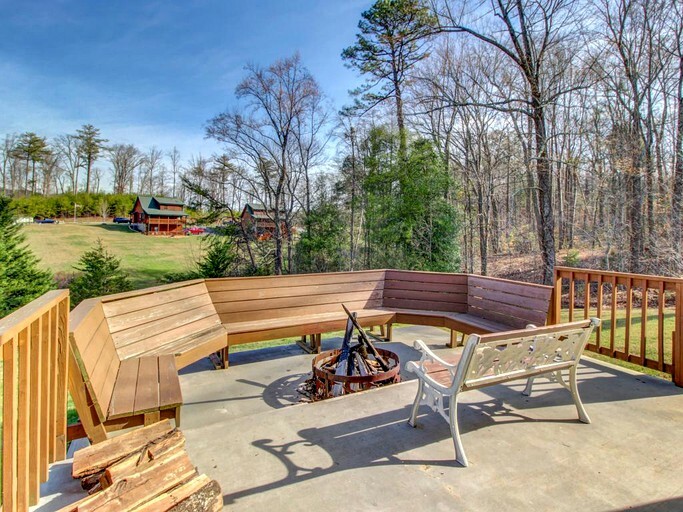 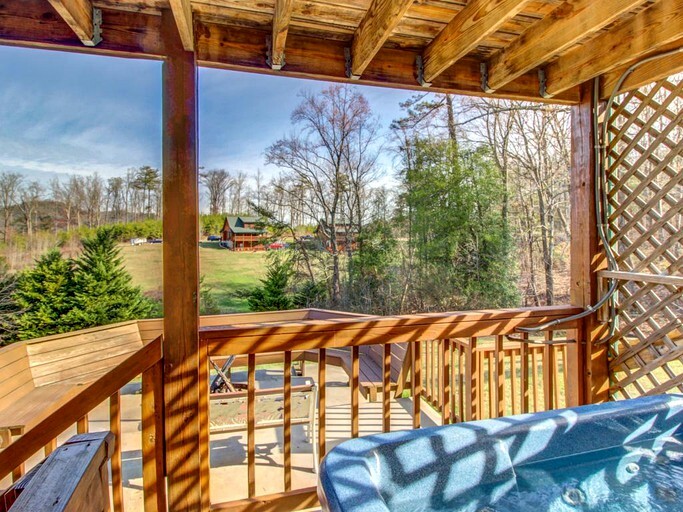 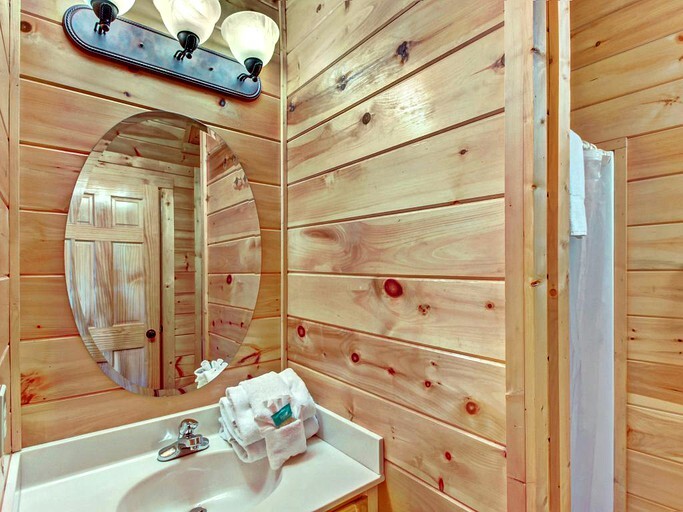 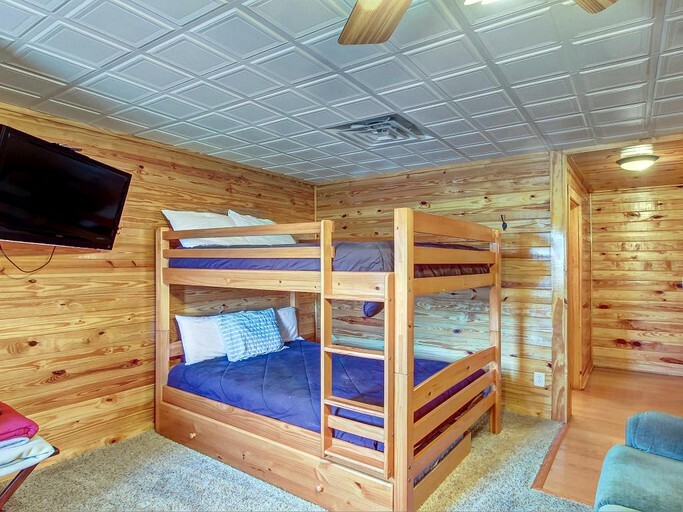 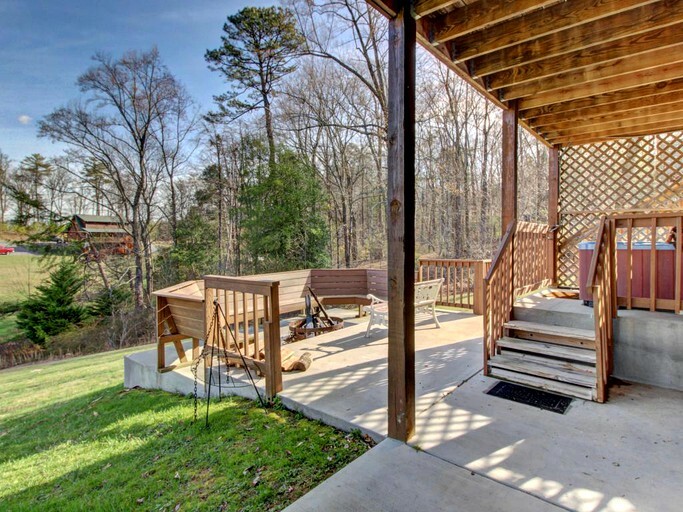 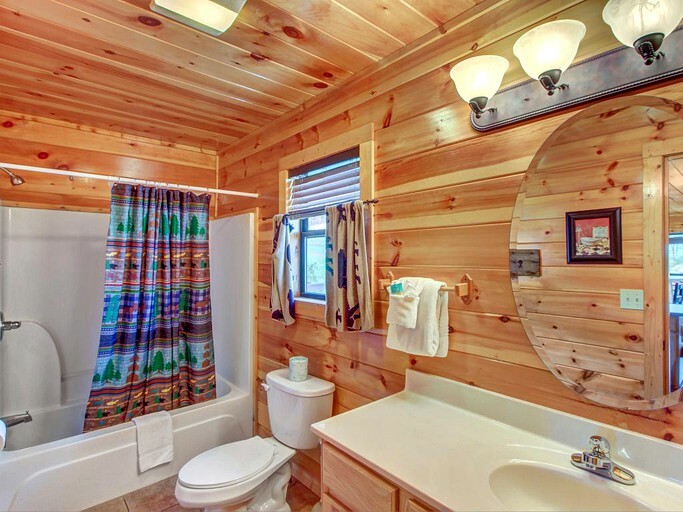 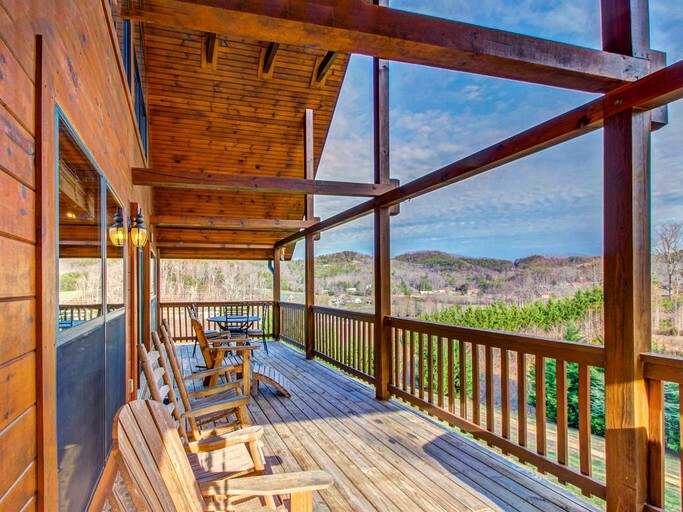 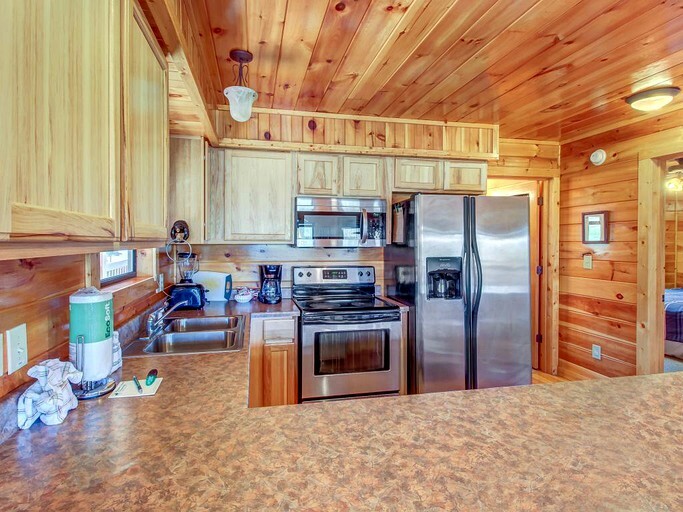 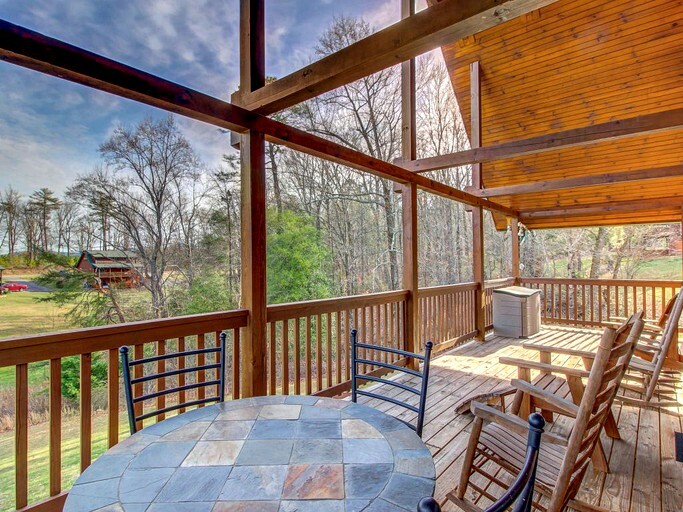 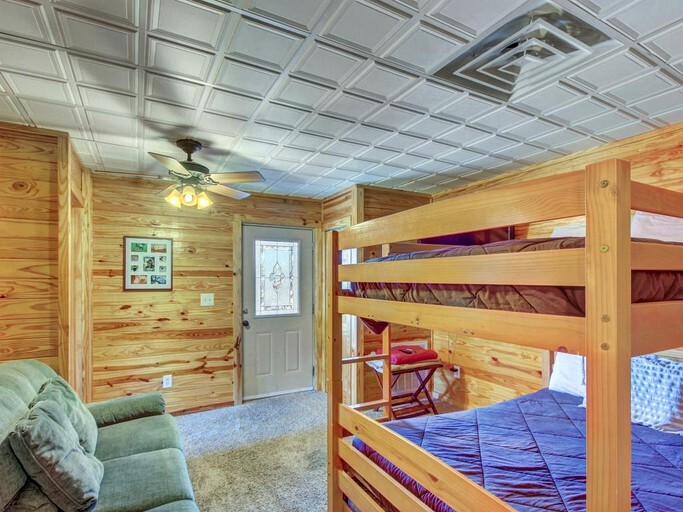 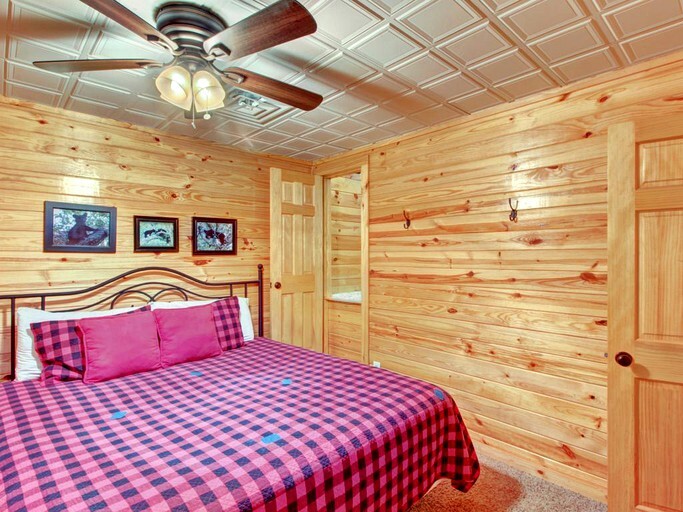 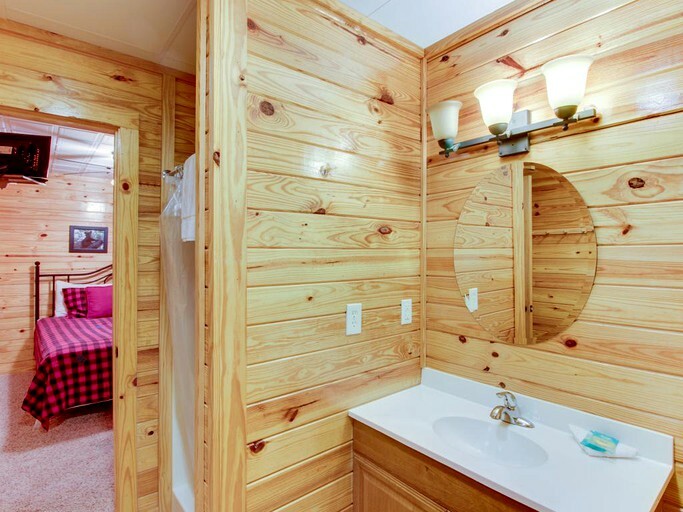 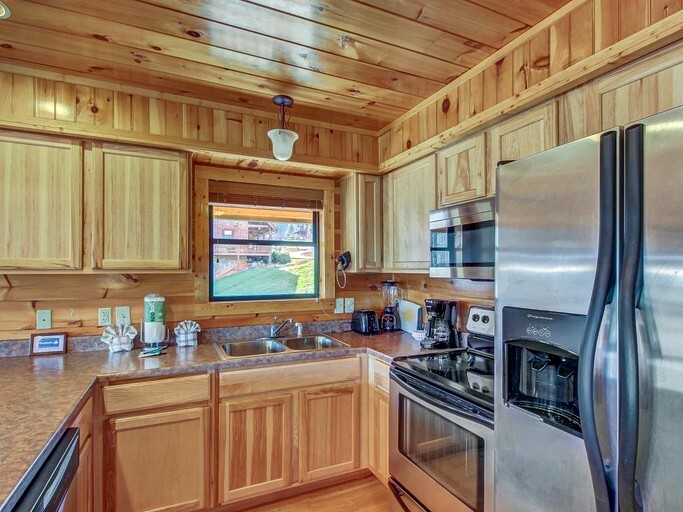 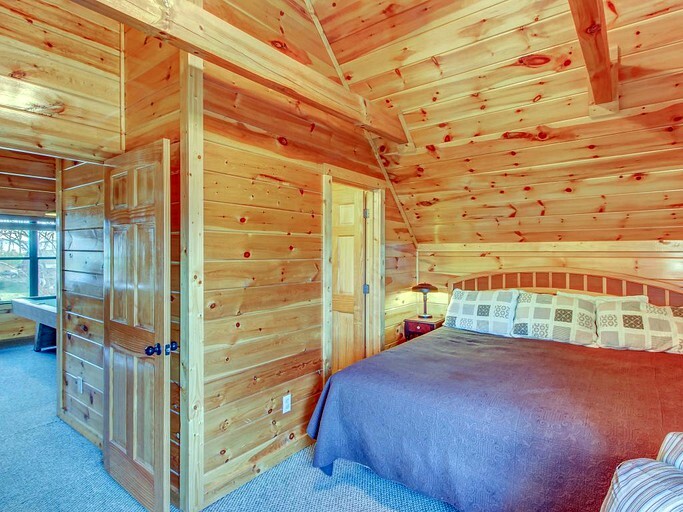 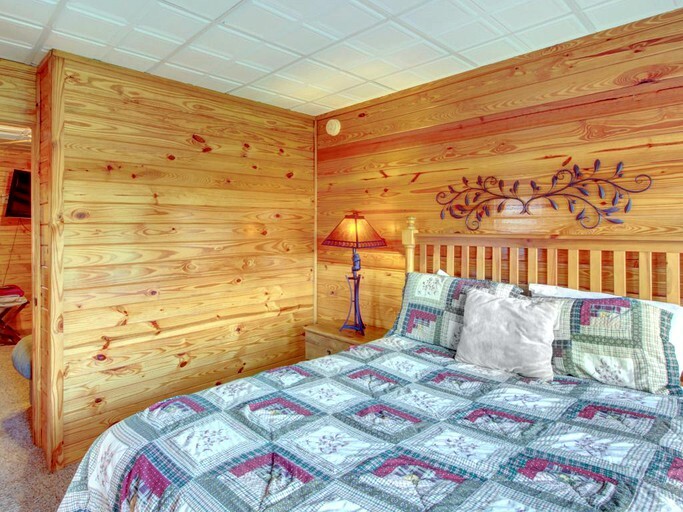 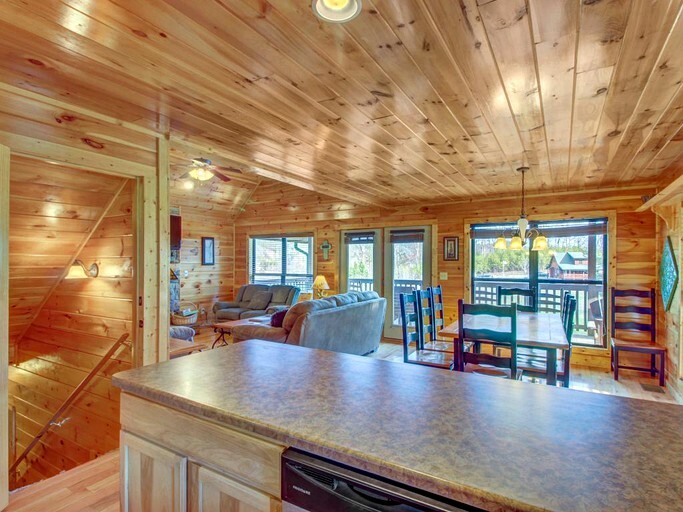 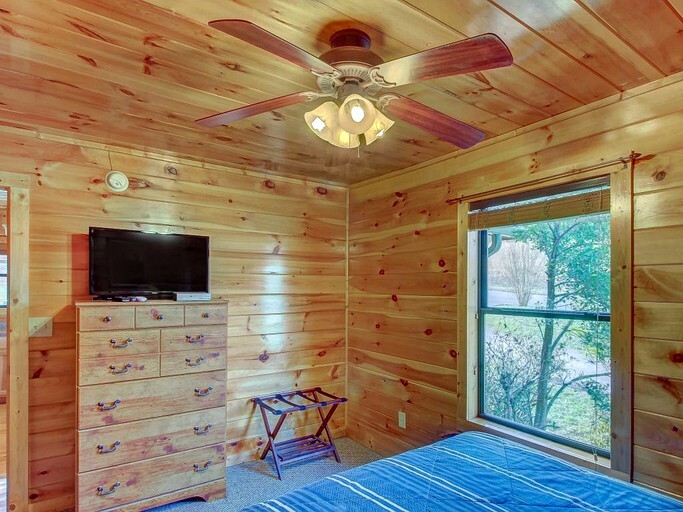 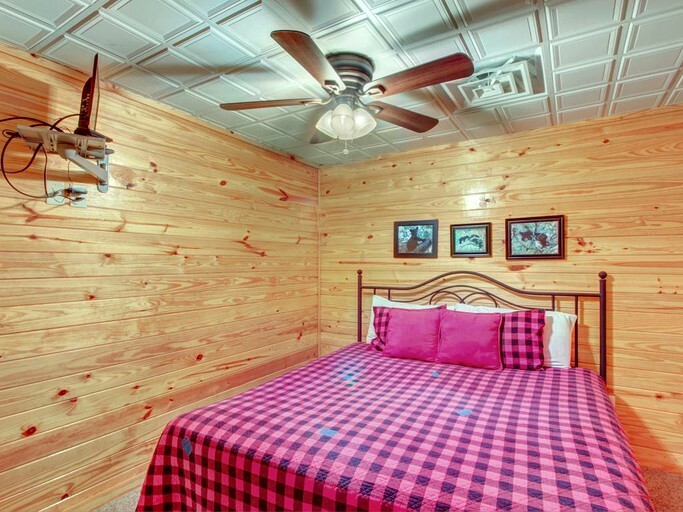 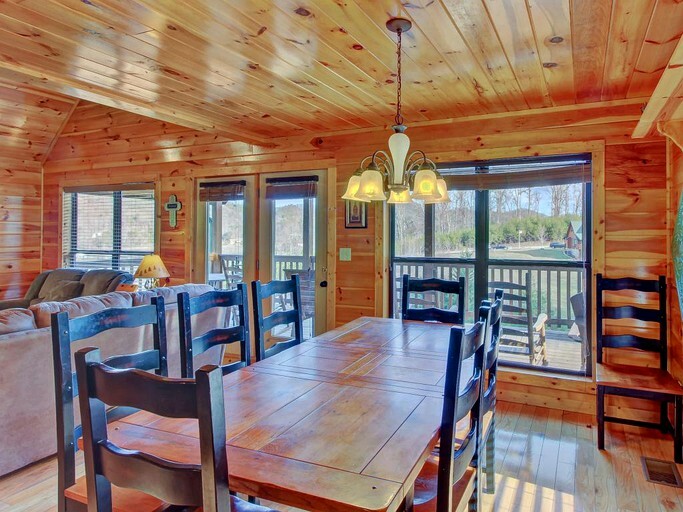 This beautiful cabin near Sevierville, Tennessee, is equipped to sleep up to 13 people, making it perfect for big groups and family vacations. 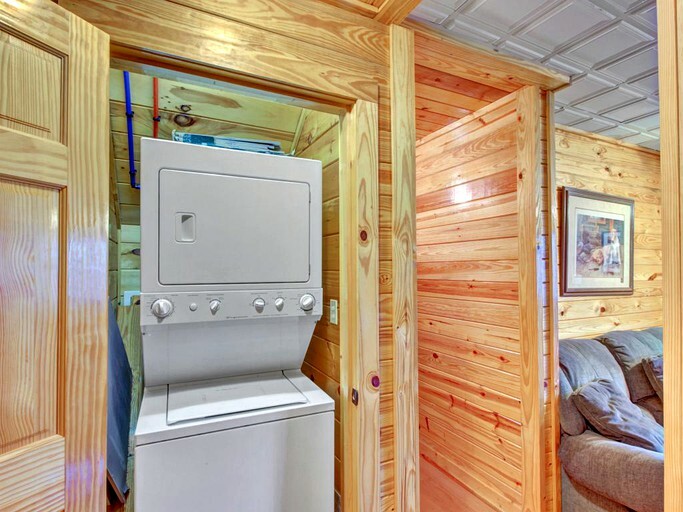 The fully-equipped rental offers guests a home away from home providing all the necessities from linens and towels to air conditioning and a washer-dryer. 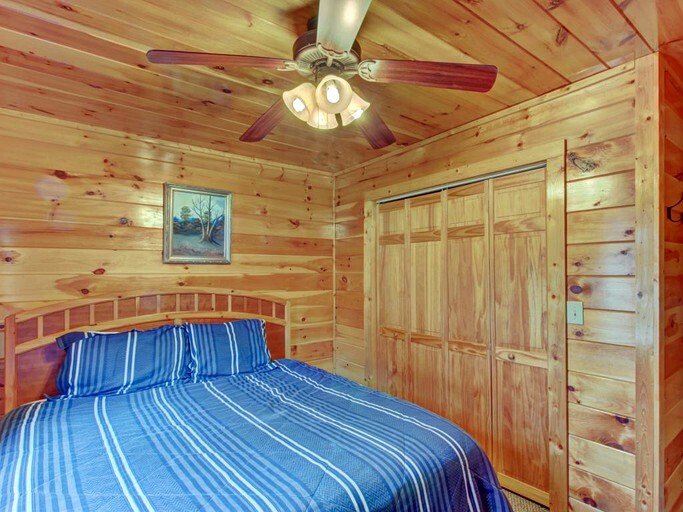 The master bedroom features a deluxe king-size bed with an ensuite bathroom. 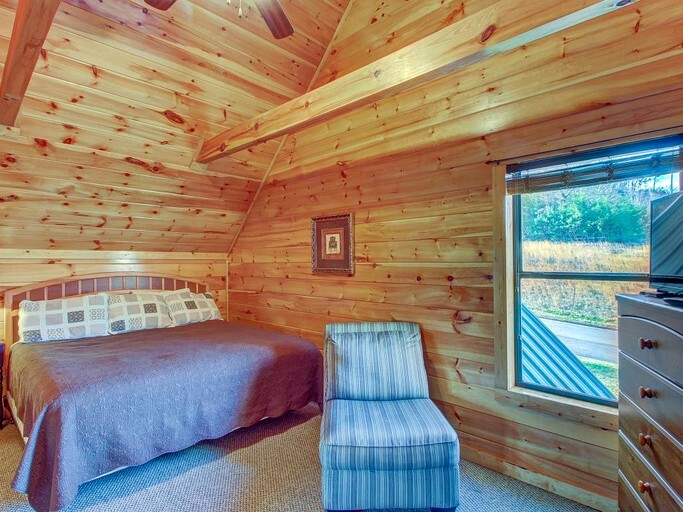 In the remaining three rooms and loft, there are two more king-size beds, three queen-size bed, and a twin bed. 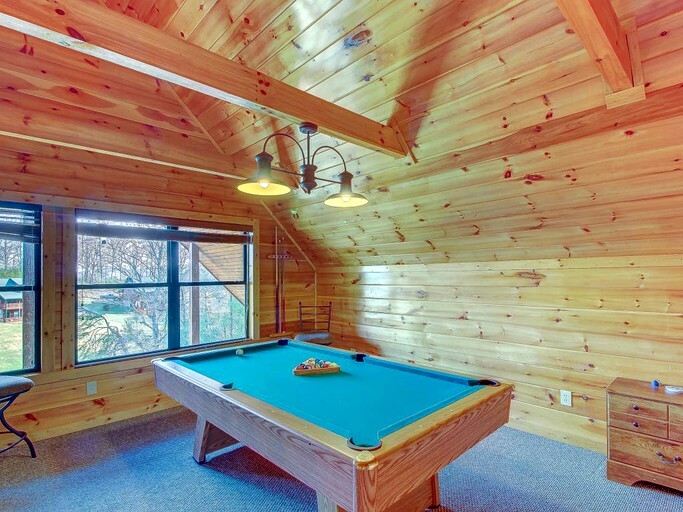 This mountain cabin provides guests with everything they need. 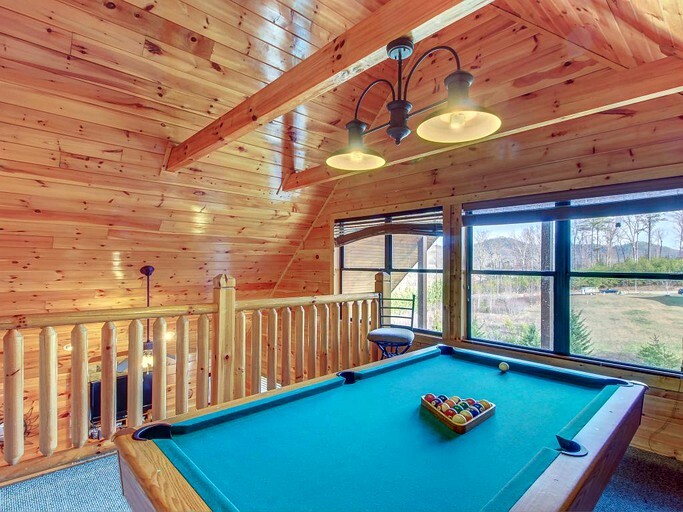 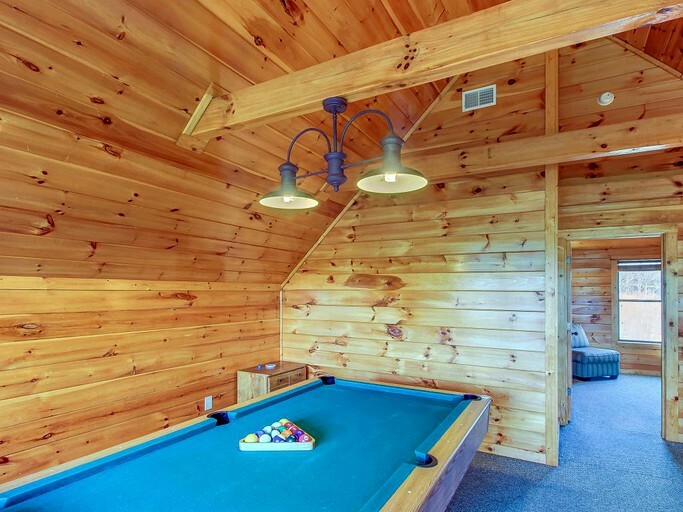 Sleeping up to 13 people, the fully-equipped rental features a hot tub, four bathrooms, four bedrooms and a games room with a pool table. 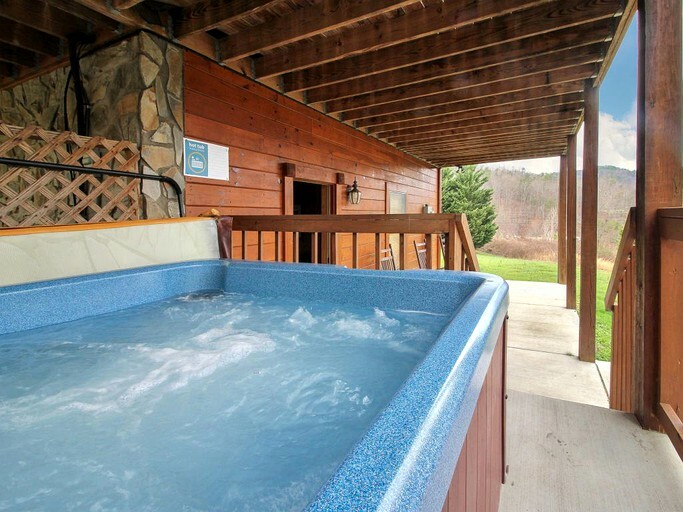 Outside on the decking, there is also a charcoal grill and guests have access to the shared swimming pool. 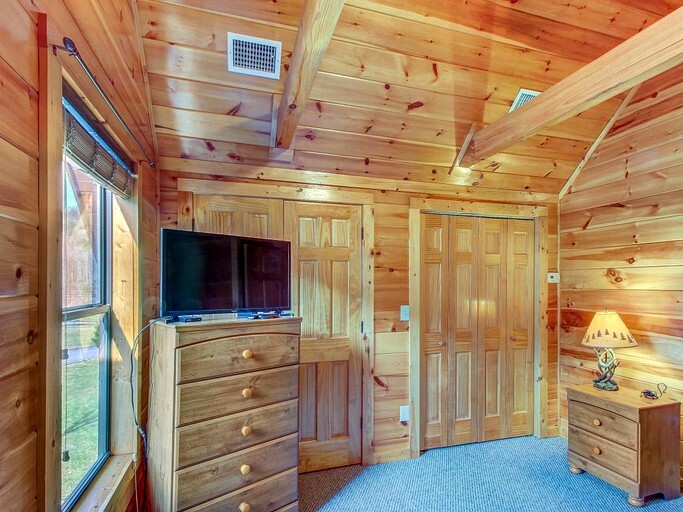 Internet is provided to help guests stay connected, and a TV with a DVD player and cable is available. 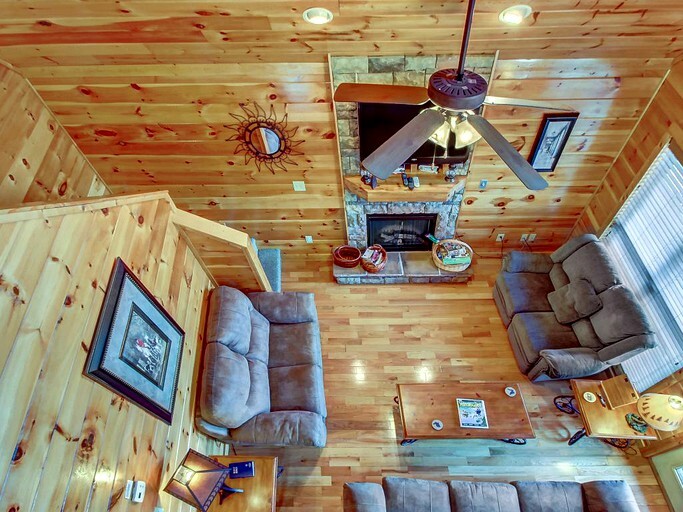 In the evening guests can wind down in the living room, gathered around the spectacular fireplace as they discuss the day's activities. 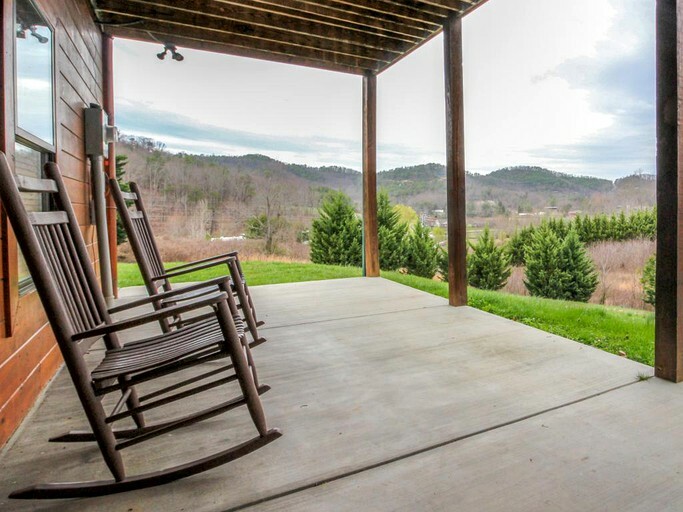 Guests can head into the nearby towns of Sevierville and Pigeon Forge for some real Southern culture. 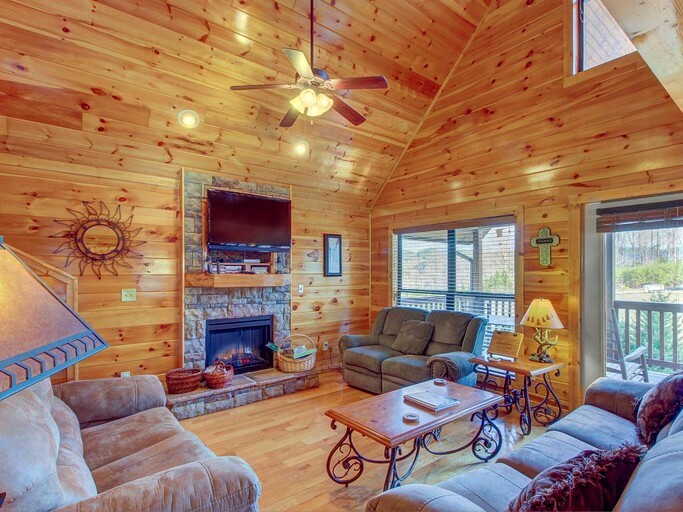 There are plenty of shops and restaurants and attractions range from amusement parks such as Dollywood to museums such as the Titanic Museum. 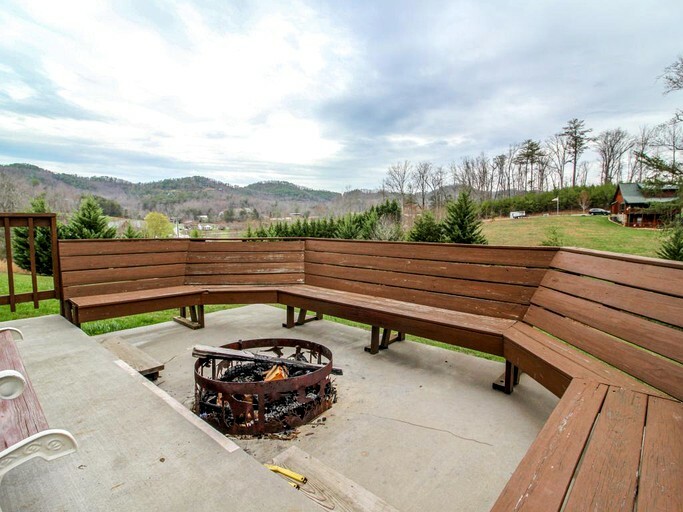 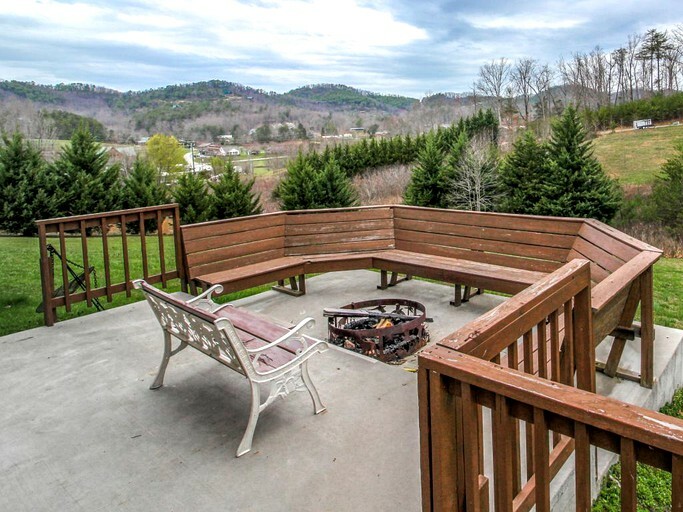 For those looking for an escape into the wilderness, there is plenty of hiking, biking, horseback riding, and trekking with the Great Smoky Mountains National Park just a few minutes from the beautiful cabin. 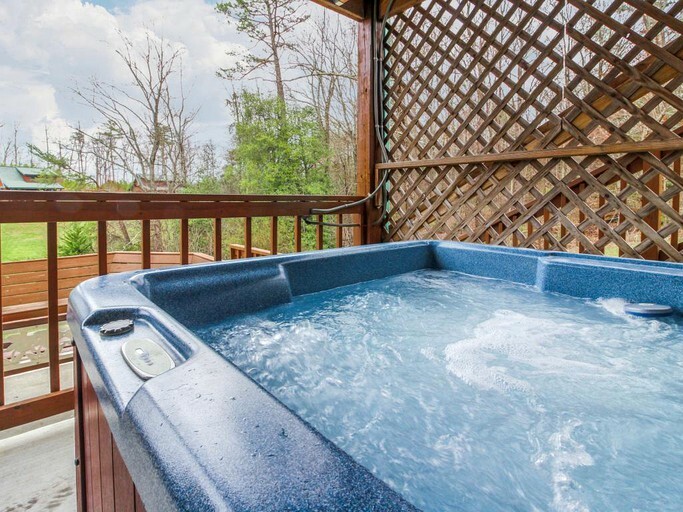 Guests can try their hand at golf or grab the binoculars for some wildlife watching in the abundance of beauty which awaits them in Tennessee.